integrates his observations on the music with reflections on the art, literature, drama, and philosophy of the time, and thus shows us the major figures of Romantic music within their intellectual and cultural context. Rosen covers a remarkably broad range of music history and considers the importance to nineteenth-century music of other cultural developments: the art of landscape, a changed approach to the sacred, the literary fragment as a Romantic art form. He sheds new light on the musical sensibilities of each composer, studies the important genres from nocturnes and songs to symphonies and operas, explains musical principles such as the relation between a musical idea and its realization in sound and the interplay between music and text, and traces the origins of musical ideas prevalent in the Romantic period. 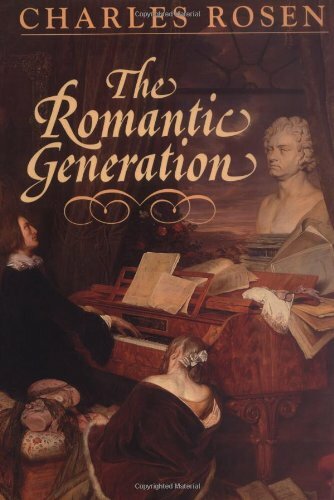 Rich with striking descriptions and telling analogies, Rosen's overview of Romantic music is an accomplishment without parallel in the literature, a consummate performance by a master pianist and music historian. Charles Rosen is an internationally respected pianist. A pupil of Moriz Rosenthal, he has performed and recorded a wide repertoire from Bach to Pierre Boulez.